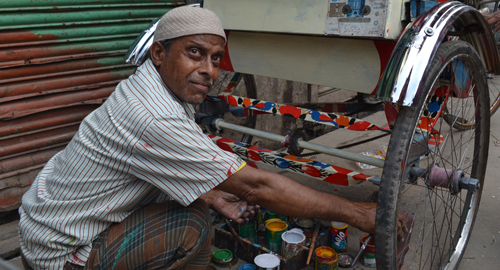 We are a team of Amader Ltd. a web developing and design company and Bangladeshi rickshaw artists. We want to revive this sector again by promoting the rickshaw art. 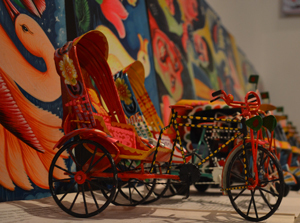 We are collecting rickshaw art and its information and show it through our website. So artists get some benefits by selling their arts. Our vision is to make a recognized industry in Bangladesh by presenting their talent in to the people and our client’s and painters will come together through our collaboration. As a result the painters will get their rewards and this sector will spread throughout the world that we hope. 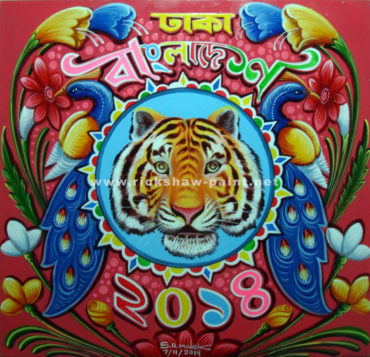 Though rickshaw arts are very popular in Bangladesh and the artists have very talent and hard work on painting but the artists does not get their true reward. Provide paint on the basis of client’s art subject and choice. Make this sector more popular.